Sorry that this post is a little late, but it’s here now. It was a frantic period, what with the jump from one to three screenings, and in two different cities. As a result, our total audience was just over triple that which it usually is. What this means, is that the two films that played at all three events (LiTTLEROCK and We Are Poets) had to consistently impress, in order to ensure their average star ratings kept their levels (our ratings don’t have any kind of complicated ‘Duckworth Lewis’ style weighting system; just simple mean average). 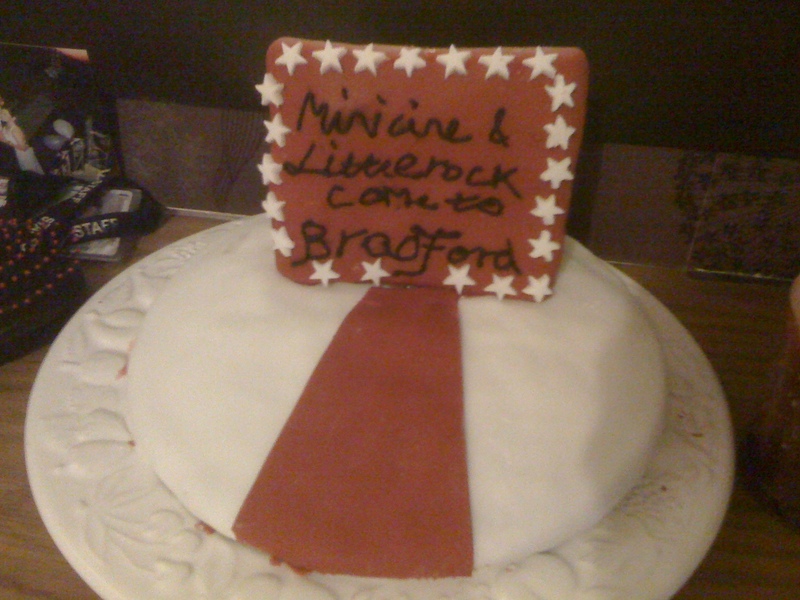 Thanks to everyone for their support this last few months. With the change of stewardship, all announcements have been quite short notice and a little ad-hoc (to say the least). The great news is that there will be infinitely more structure next year, thanks to some newcomers to the team that are really welcome and will help inject even more life into the momentum built throughout this year. By the end of December, there will be a three month mini-programme announced covering January, February and March. This three month period should illustrate the variety that we’ll be striving to achieve for the rest of the year. A variety encompassing any of the following: the politically subversive, little known discoveries, under celebrated gems from the past or fun/event screenings. Further to this, the very beginning of the new year will be kicked off in style, with the unveiling of our membership scheme. All ratings are worked out from the mean average of each audience’s five star rating. In order to be quite specific, for when we start charting these ratings, the results are put to four decimal places. I can’t stress enough how proud I am to have been able to get this film out to more people. My faith in it, and my belief that it will be appreciated by our audience has been vilified by its seemingly universal acceptance. Remember, there was three times the usual audience for this film. See the bottom of this post for a review from one of our audience members, Steve Firth. Having We Are Poets, such a solid entry into our usual locally produced short film slot, meant that I wanted to be greedy and give two local filmmakers the platform. We Are Poets is such an accomplished and almost flawless film that I thought it would be worth playing a film with absolutely no resources other than an individual with a videocamera and an admirable appetite to create something. It may look like the film didn’t score that highly, but I am glad that our audience are honest and that a film showing glimmers of real talent and imagination, yet is far from the finished article, can stand next to some of the more refined shorts that we play without undermining the system. What I would say though, is that quantitative feedback probably isn’t the most useful thing for this type of short. In future, we will also provide the facility to offer qualitative feedback for shorts of this stature. More than the short itself, I was impressed with the way Jamie has gone about getting his film out there. Contacting us, sending the film out and picking us up in his enthusiasm. We hope to see more of his work as he develops his distinctive style. Once again, one of our local shorts is what blows our audience away. Following the success of our screening of Joy earlier in the year, it feels great to once again showcase some fantastic locally produced material. 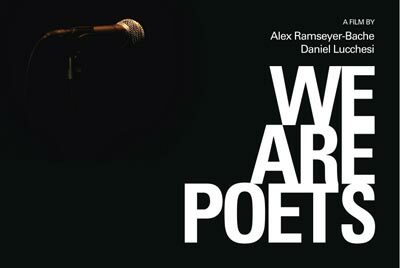 Don’t forget that there is a feature length We Are Poets documentary coming very soon. We will keep everybody fully updated, but you can check their website for details. This was a fun short documentary that I didn’t actually expect to go down quite as well as it did. The mesmerising Atsuko (Atsuko Okatsuka) dominates Mike Ott’s LiTTLEROCK. Somehow, like a number of characters in the film’s dead-end town, you find yourself fixated with her. What makes this extraordinary is it’s an English-language film, and throughout it she only speaks Japanese. Atsuko and her brother Rintaro (Rintaro Suwamoto) are visiting America and thanks to car problems become stranded in the desperate Littlerock. They find a cheap motel only to discover their room is next to one holding a rowdy party. Rintaro, with a limited grasp of English, goes to complain. He’s invited into the party by the vain and slightly dim ”Dang, I really could be a model” Corey (Corey Zacharia). Atsuko, worried her brother hasn’t returned, follows him in and they end up being introduced to the beer-loving, dope-smoking local youth, a number of whom seem less than pleasant, sinister even. Immediately, there’s a tension that stays with you throughout Littlerock, the naive foreigners in danger from the menacing natives. That his so-called friends target the new arrivals’ host, Corey, for abuse and ridicule makes Atsuko and Rintaro’s jeopardy more concerning. Despite their stay’s unpromising start, the two visitors remain in town and the next day Corey gives them a brief tour of Littlerock. Language barrier or not, it becomes obvious Corey has a problem. He owes the thuggish Brody (Ryan Dillon) $150, for some drugs he was meant to pass on to someone else but stupidly smoked himself – and hasn’t the cash to pay him back. 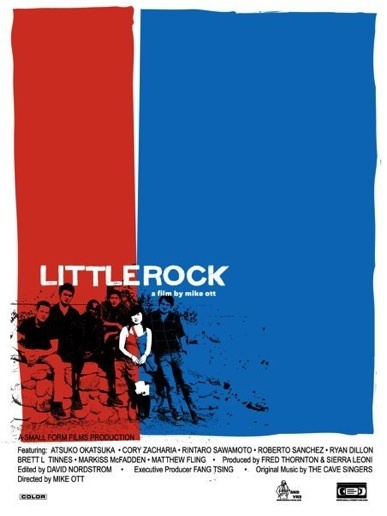 LiTTLEROCK is part road movie, part coming-of-age story, and echoes films as varied as Badlands, American Graffiti and Lost in Translation. To say communication, or the lack of it, is at the film’s core is not only obvious, it’s an understatement. Ott handles the language issues with both subtlety and style. My favourite line in the film is where Atsuko asks Rintaro to translate what a drunken youth is saying and her brother notes, “He’s just rambling about a cactus and an orange,” a devastating critique of what we say to each other. Atsuko Okatsuka’s performance as the seemingly fragile, yet tenacious, Atsuko is understated to perfection. What she’s thinking we don’t know, but we do know a lot is going on in her mind. Baffling, sensual, independent, she could have come directly out of a Murakami novel. The film’s other major acting honours must go to Corey Zacharia. His constant struggles (with his father, his debt, his art, his feelings for Atsuko, the bleak Littlerock) keep him permanently ill at ease. The scene where he attempts to seduce Atsuko and is unable, or more likely, unwilling, to accept his feelings aren’t reciprocated, is borderline creepy, a perfect example of the tension within Littlerock. Zacharia shows a mixture of kindness and desperation that give what could have been a weak character a human and a darker side. Director Mike Ott’s strength in LiTTLEROCK is how he maintains a sense of foreboding throughout the film. He uses a familiar premise (strangers in a strange land) yet plays with his audiences expectations. By not resolving issues such as Corey owing Brody money, or by putting Atsuko in apparent danger, he leaves the viewer anticipating the worst and hoping for the best. Ott keeps us watching, keeps us involved, almost lets us participate in his film. There’s a simplicity to the cinematography in LiTTLEROCK. The editing feels unhurried, the film’s pace unrushed. Yet despite the apparently leisurely pace the action is constant. This contrasts with the endless drab landscapes, a visual reminder of an empty America, somewhere you can believe people are anxious to escape, the oppressive setting influencing both cast and audience alike. Writing what is effectively a two-language film could only have been challenging. That the story’s easily understood, and the audience are able follow LiTTLEROCK’s more subtle nuances says all that needs to be said about the script’s quality. As a bonus, the readable and understandable subtitles were a delight. Ott’s film is thoughtful and thought-provoking. Some of its themes and ideas need to be pondered long after it ends. Yes, this is intelligent, independent US cinema. And it’s been noted elsewhere, the film receiving, among other awards, the 2010 Gotham Award for “Best Movie Not Playing in a Theatre Near You.” A great name for an award, a sad reflection of the state of modern cinema. LiTTLEROCK deserves better; it deserves to be seen.